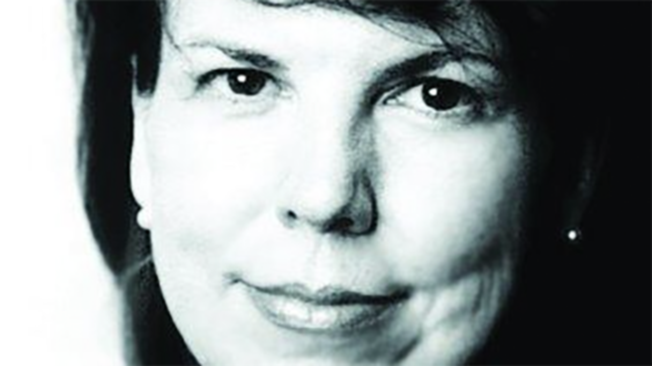 Noreen O'Leary, a giant of advertising journalism who spent the past 31 years perfecting her craft at Adweek, passed away Saturday after a battle with cancer. She was 59. A native of Pittsburgh, O'Leary attended the Ellis School for high school and then studied at Carnegie-Mellon University. In 1985, she joined Adweek, and over the ensuing decades, she more than earned her reputation as one of the industry's most respected and recognized agency reporters. Her stories also appeared in The Wall Street Journal, The Financial Times and The New York Times. She is survived by her husband, Chris Garland. He asked that charity donations be made in O'Leary's memory to The Lustgarten Foundation, which is researching cures for pancreatic cancer. Funeral services will be held this Saturday, October 8, at McVeigh Funeral Home at 208 North Allen Street in Albany, N.Y. Calling hours are 1 p.m. to 3 p.m., followed immediately by a memorial service at 3 p.m. From 4-7 p.m., there will be a gathering at The Olde English Pub, Quackenbush Square, 683 Broadway, also in Albany. For 30 years, O'Leary set the standard for covering the ad world. Colleagues and sources alike will remember her as a no-nonsense, old-school, hard-as-nails reporter who dug deep into the heart of every story. That said, she had a gentle way about her, and she always strove to be as fair as possible—acutely aware that professional reputations and jobs often hung in the balance. She helped take agency coverage beyond its trade-press infancy and made the companies and personalities of the business come alive. Last year, while battling cancer, O'Leary continued to work as much as she could, and was so dedicated to maintaining her coverage that she'd take her laptop with her to chemotherapy treatments so she could still be able to meet her deadlines. Word of her death spread quickly through advertising circles Sunday, with dozens of colleagues and executives voicing their sorrow while also sharing their memories of a class act who always took the time to write the story fairly and elegantly. Indeed, O'Leary was described by many as a "class act." Added Adweek editor Lisa Granatstein: "She earned the respect and trust of top-level executives, who in turn gave her a front-row seat to the tectonic shifts occurring within the advertising world. She will be greatly missed." "A consummate professional and lovely person," remembered Martin Sorrell, CEO of WPP. "Scrupulously fair, detailed, dedicated and accurate. Increasingly rare qualities today." Added John Wren, president and CEO of Omnicom: "In an industry without many giants she will be remembered as one, and as a very nice person." Head of advertising's third major advertising holding company, Publicis CEO Maurice Levy also sent his condolences, noting: "I was shocked to learn about Noreen's disease and death. I always had a lot of respect for her, both as a professional and as a person. She followed her passion for journalism, and even while battling cancer, she continued to maintain the utmost professionalism and to share her unique perspective on our industry. The industry as a whole is losing a great talent. She will be missed." And Ogilvy & Mather went so far as to create a page on its site honoring O'Leary with quotes from its top executives—a pretty unprecedented move on the part of an agency toward a journalist. O'Leary will be remembered particularly for several profiles that changed the perception of her subjects—sometimes for the better, and sometimes for the worse. The highlight, many in the industry agree, was her profile in 1992 of ad legend David Ogilvy, who let her into his French chateau for several days, years after cutting himself off from the press. For a half-century, David Ogilvy has blazed across the advertising skies. The tail of his comet stretches from the pre-television era and Madison Avenue in its gray-flanneled heyday on through the creative revolution and into the world of global mega-mergers. All the while, Ogilvy's sharp, iconoclastic personality has illuminated the industry like no other adman's. Now "retired" to his chateau in France, Ogilvy still has strong, informed views about the state of advertising and the fate of agencies. Here are his latest, and perhaps last, confessions. Autumn in the Loire Valley is not David Ogilvy's favorite time of year. Too wet, too cold, too lonely after all of summer's visitors leave Touffou. Storm clouds smudge the November sky, Ogilvy's beloved gardens wilt under the first frost, and afternoons are so quiet you can hear leaves drop. Still, on a long twilight walk to show visitors his river views and fiery countryside, he is more puzzled by the passage of time than saddened by it. "It's a curious thing about age, something I'm terribly conscious of these days," says Ogilvy. "Can a man of 81 be good at anything in advertising, or is it ipsofacto that you're useless at 81? They're out there saying, for God's sake, get rid of that old codger. But I've had to become outspoken. There is still very much I would like to do and not many years to do it." "The EALs [editors at large] had just been assembled a few weeks before. Their job carried a simple description: Come back with a story that could run proudly in any magazine, wherever it takes you, whatever it takes," wrote Reiss in an email. "I believe Mary sent David a request in a letter. A few days after, Noreen had a personal note from Ogilvy, inviting her to come stay at the Chateau and sample wines," Reiss continues. "She went, they talked and drank and drank for days, and she came home with the seminal story that changed the perception and importance of Adweek. We are all saddened and the lesser for her passing." O'Leary's fondness for Ogilvy as a subject was evident in her obituary of him in 1999. O'Leary's 1993 feature story (written with fellow Adweeker Richard Morgan) on the power struggle between McCann and Los Angeles talent agency CAA over the Coca-Cola account is also industry legend. Remembers Michael McCarthy, a longtime Adweek colleague who is now with The Sporting News: "It had everything: deal-maker Mike Ovitz on the CAA side; John Bergin and Phil Geier for McCann and IPG; Cola Bears; hush-hush conference rooms inside the bowels of Coke. The industry held its breath until that story hit the newsstands." Coke's receptivity to CAA, to Hollywood's encroachment on Madison Avenue, was so obvious that some on the McCann team felt like throwing in the towel before their round of presentations even began. "You could see the account go sailing right out the window of a windowless room," one says. "Now that's Hollywood." At that moment, Bergin later confided to a friend, he scribbled a note while CAA was still pitching and shoved it in front of a colleague. "We are dead," it read. O'Leary wrote a long feature a decade ago about the fall of Y&R, which Adweek creative editor Tim Nudd, in his words, "had the pleasure—and, thanks to the byzantine cast of characters and timelines, also the pain—of editing. It was the kind of piece she did like no one else—honest, unsparing, exhaustively reported, revelatory in its behind-the-scenes truths. "What I remember most are the patience, diligence and friendliness with which she answered every single question, big or small, even late into the evening on deadline night," Nudd added. "This was typical of Noreen no matter what she was working on. She wanted to get the story right, have it matter, and be a good person along the way. And she did all of those things, always." O'Leary wrote a feature story in 2007 about the Chinese marketing industry that essentially introduced U.S. readers to what was going on in the rapidly rising Asian nation. She was very proud of the piece, and it set the pace for a lot of mainstream coverage on China that followed. Returning to the topic of Ogilvy, this time the agency, O'Leary profiled CEO Miles Young in early 2013, probably her last great in-depth piece—though she continued to write through June of this year, as she battled cancer. Kevin McCormack, former editor of Adweek and current WPP communications director of North America: "Noreen was a colleague that any journalist who wanted to cover this industry effectively and responsibly studied. She was a brilliant writer, reporter and editor, and she changed lives and changed the way advertising was covered." Alison Fahey, former editor of Adweek and current CMO of the 4A's: "Noreen was passionate and professional and exceedingly ethical. She had many great accomplishments and I am incredibly grateful to have been her editor for 15 of her 30 years at Adweek. The assignment for her ground breaking Y&R feature was to write an inside business story that could run in any business magazine. She delivered that, and so much more. In 2006, she convinced me there was a big story in China. I will never forget exploring Beijing and Shanghai with her. I think her curiosity is what made her better than most. Noreen meticulously documented our travels and wrote a fascinating series on Chinese consumerism. She always saw the big picture. And she always delivered. Always." Barbara Lippert, former Adweek columnist and currently columnist for Mediapost: "She had the institutional memory and unique talent to be able to do tough, deeply reported stories, and was unique in the field of ad journalism in that gift. She had really high standards. Her profile of Ogilvy is the standard bearer. She also had a wonderful, rueful sense of humor. She was a kind person and a great colleague. I am really devastated to hear this. Jennifer Comiteau, former Adweek reporter/editor and currently executive director of corporate communications, Project: "I will never forget her guiding me through so much coverage, including the end of Ally & Gargano. And, the stories she told while holding court at Molly's every Thursday night, were legendary. The industry lost a great historian." David Kiley, former Adweek writer and current director of Communications: Ross School of Business at The University of Michigan: "She was such a classy person with me always. She was that consummate pro who the big ad execs would always sit down with for the big in-depth piece because they knew she knew her stuff, would be fair and thorough." Longtime Adweek freelancer Joan Voight: "Back when I was working on my first big feature for Adweek, I had just met Noreen, who was the pro. We were drinking beers and eating burgers with the AW group (of course). I was exhausted and worried that much of my interviews with the agency seemed like boilerplate B.S. that wasn't interesting nor insightful. 'Was I doing something wrong?' She leaned over and said something like, 'Don't worry. You have to wade through all the B.S. and pay close attention because there will be bits of good stuff hidden in the platitudes. Don't give up.'" Brian Morrissey, former Adweek digital reporter and current editor of Digiday: "Noreen was a pro's pro. She helped me immensely in finding my footing in a new industry. She was always very generous with her time and insights, sharing her incredible knowledge of the ad industry and how it worked. What I always found striking was even as accomplished Noreen was she was always curious to know more. She'll be missed." Douglas Quenqua, former Adweek news editor and current editor in chief of Campaign U.S.: "Noreen was the best advertising writer I ever worked with. There is no second place. And she did it without ever being mean, loud or dishonest. Her Miles Young profile from 2013 should be required reading for everyone in the industry, especially those who cover it. We were lucky to have her."